Are you looking for a modern yet compact solution for your garden space? Meet our 17’ x 10’ Insulated Home Office. 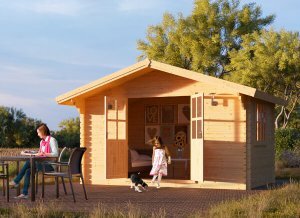 Don’t be fooled by its compact size, this cabin has enough space for numerous design ideas. This is our most popular layout for a garden art studio or home office. Its modern design and large windows give it a beautiful, open look that compliments any garden. In addition to the aesthetic appeal of this cabin, it also has high insulation parameters that are sure to please. 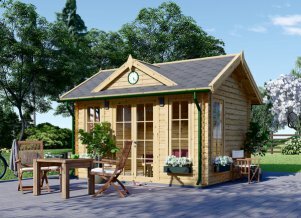 This 17' x 10' insulated home office comes standard with UPVC windows and doors. Additionally, the exterior has a cozy wooden trim finish that you can paint or treat to compliment or match the design of any existing buildings on site. The interior can be finished with a pine trim or plasterboard. Firestone EPDM is included to ensure the best roof finish. 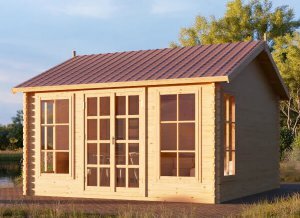 Windows (width x height) UPVC 3'3" x 6'10" (3), 3'3" x 3'5"
This wooden building is made from slow-grown conifer timber. Having greater density and a lower level of knots and sap, it is naturally better protected from rot and mold. Safety has always been our highest priority, so all our buildings are designed with a reinforced roof construction in order to withstand strong winds and heavy loads. This building comes with double-glazed windows and doors, which are made with great attention to detail, employing finger-joint technology that significantly reduces moisture in the building. All our windows and doors are equipped with heavy-duty steel hinges that withstand up to 100,000 openings. Doors come with high quality locks for optimal security. All windows and doors come with weatherstrips as standard to prevent water and air leakage. They also provide smoother opening or closing. This building is equipped with storm braces – special wooden reinforcement bars making the whole structure more solid for protection against storms. Our building are cleverly designed so you can easily change the opposite walls during the construction process. This building comes with tongue & groove profile 0.8 inches thick floorboards that firmly join to each other. We use 2 inches x 2 inches thick treated wooden floor bearers for a solid base and improved longevity. This building kit comes with all the hardware necessary for installation (excluding basic tools): nails, screws, door locks and handles. Nails for the roof shingles are not included. We use high quality clear glass for our windows and doors. 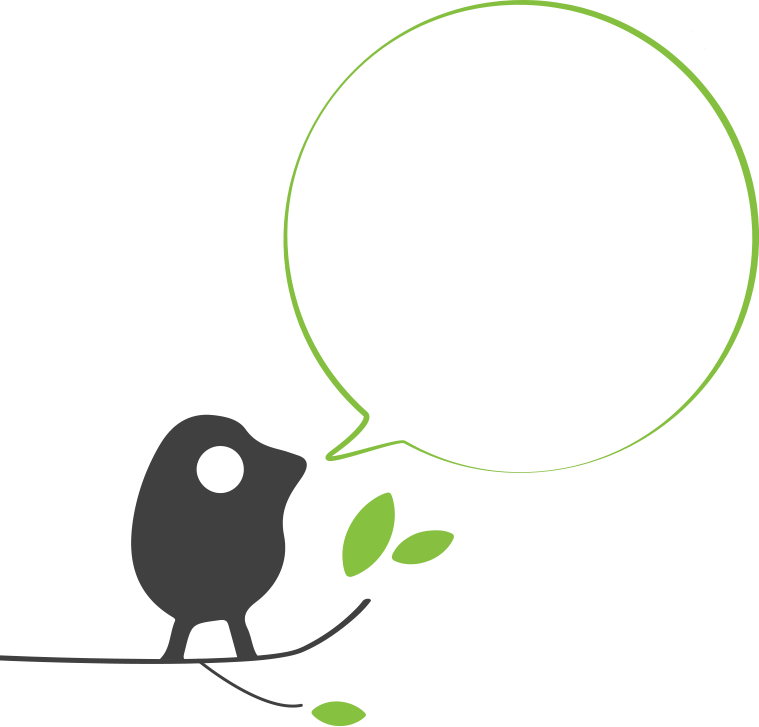 You can be sure that you will not find a cheap plastic alternative in any of our products. We offer you wooden buildings direct from our family-owned factory that was founded in 1993. In this way you avoid any middlemen and receive the product at the manufacturer’s price.